What is a home? Is it a physical space, a country, a state of mind? Or all of these combined? Freedom Forums: Conflict of Home considers how our realities in our neighborhoods and communities intersect to shape, threaten and enhance our perceptions of home. Poet and social justice educator Ama Codjoe leads this reading, discussion and workshop event with presenters who will share and discuss works resonant with the theme. They include, award-winning poet and educator Victor Hernandez Cruz, Beneath the Spanish (2017); Jason Koo, More than Mere Light (2018); Ladan Osman, The Kitchen-Dweller’s Testimony (2015); and Feminist Press’ Jisu Kim, acquiring editor of the publication Go Home! Unconventional and interactive, Freedom Forums seeks to dissolve the divide between presenter and audience, encouraging all to speak and be heard. Poets Kyle Dacuyan and Patricia Spears Jones of the newly constituted American Poets Congress will reflect on the concept of home as well, and audience members are invited to join in the conversation. Writing workshops will follow the discussion. Go Home! the Feminist Press’ anthology of Asian diasporic writers, published in collaboration with the Asian American Writers Workshop, is included at a discounted rate with advance tickets. Ama Codjoe is a poet, facilitator, and social justice educator. She has been awarded support from Saltonstall and Cave Canem Foundations, Callaloo Creative Writing Workshop, and MacDowell Colony. She is a two-time Pushcart nominee. In 2017, Ama was awarded a Rona Jaffe Writer’s Award to support the completion of her forthcoming first collection, Iterations of Being. Victor Hernandez Cruz balances worlds together in his poetry. Much of his work explores the relationship between the English language and his native Spanish, playing with grammatical and syntactical conventions within both languages to create his own bilingual idiom. He is the author of numerous collections of poetry, a co-founder of both the East Harlem Gut Theatre and the Before Columbus Foundation, and a former editor of Umbra Magazine. He has taught at the University of California at Berkeley and San Diego, San Francisco State College, and the University of Michigan. A former Chancellor of the Academy of American Poets, his honors include fellowships from the Guggenheim Foundation and the National Endowment for the Arts. He served as a Chancellor of the Academy of American Poets from 2008 to 2013. Cruz divides his time between Morocco and Puerto Rico. Jisu Kim is the senior marketing, sales, and publicity manager at the Feminist Press. She oversees the marketing life of a book, from its beginnings as an ISBN to becoming course adopted and a backlist gem. She is a graduate of Sarah Lawrence College, where she studied comparative literature and political theory. Jisu championed and oversaw the publication of Go Home, an anthology of diasporic Asian American writing. Jason Koo is the author of three full-length collections of poetry: More Than Mere Light, America’s Favorite Poem and Man on Extremely Small Island, winner of the De Novo Poetry Prize and the Asian American Writers’ Workshop Members’ Choice Award for the best Asian American book of 2009. He is also the author of the chapbook Sunset Park and coeditor of the Brooklyn Poets Anthology. He has published his poetry and prose in the American Scholar, Missouri Review, Village Voice and Yale Review, among other places, and won fellowships for his work from the National Endowment for the Arts, Vermont Studio Center and New York State Writers Institute. An associate teaching professor of English at Quinnipiac University, Koo is the founder and executive director of Brooklyn Poets and creator of the Bridge (poetsbridge.org). He lives in Brooklyn. Ladan Osman is a Somali born artist whose work is a lyric and exegetic response to problems of race, gender, displacement, and colonialism. She is the author of The Kitchen-Dweller’s Testimony (2015), winner of a Sillerman First Book Prize. Her next collection Exiles of Eden, a work of poetry, photos, and experimental text, is forthcoming with Coffee House Press in 2019. Her work has appeared in Columbia Poetry Review, Prairie Schooner, Roar, Rumpus, among others. Osman’s writing has been translated into over 10 languages. She currently lives in Brooklyn. Kyle Dacuyan is the Executive Director of The Poetry Project at St. Mark’s Church. He joins The Poetry Project with particular experience in audience building, partnership development, and programming, having most recently served as Co-Director of National Outreach and Membership at PEN America. In that role, he launched a nationwide community engagement fund for writers and initiated outreach with civic, cultural, and advocacy partners in more than 15 states. Prior to that, he served as Associate Director for the Antiquarian Booksellers’ Association of America. He continues to work, also, as a community organizer, poet, and performer. Poet Patricia Spears Jones is the winner of the 2017 Jackson Poetry Prize from Poets and Writers and author of A Lucent Fire: New and Selected Poems (White Pine Press, 2015), a finalist for the Poetry Society of America’s William Carlos Williams Prize and the Patterson Poetry Prize. She is the author of ten additional publications and is in anthologies such as Of Poetry and Protest: From Emmett Till to Trayvon Martin; BAX: Best American Experimental Writing, 2016: 2017 Pushcart Prize XLI, Best of Small Presses; Truth to Power: Writers Respond to The Rhetoric of Hate and Fear; and Angles of Ascent: A Norton Anthology of Contemporary African American Poetry. She is a fellow at Robert Rauschenberg Residency; Virginia Center for the Creative Arts, Yaddo, and the Millay Colony. She has taught Adelphi University, CUNY and at FAWC, summer programs at Naropa and University of Rhode Island. She is a Black Earth Institute senior fellow emeritus and organizer of American Poets Congress. 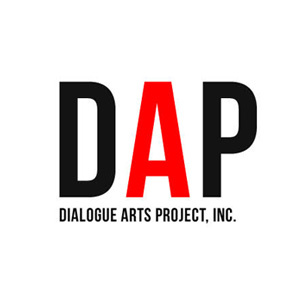 Freedom Forums: Conflict of Home will be bookended by programs in New York City in collaboration with Dialogue Arts Project and Urban Word NYC. 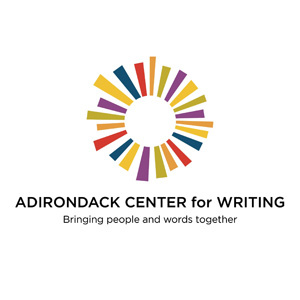 Visit the Adirondack Center for Writing and Herstory Writer’s Workshop, to learn more about Freedom Forums events in their regions. Freedom Forums is a multi-region, multi-disciplinary, series of programs and events anchored at Federal Hall that uses literature as a prompt to probe the site’s historic themes and explore the ideas, ideals, flaws and contradictions of democracy as they relate to today’s society. It is presented by the National Parks of New York Harbor Conservancy, the primary nonprofit partner of the National Parks of New York Harbor. It is organized by Harbor Conservancy Literary Arts Advisor, Debora Ott. Freedom Forums: Conflict of Home is co-sponsored by the Feminist Press and held in collaboration with the Adirondack Center for Writing, Dialogue Arts Project, Herstory Writers Workshop, and Urban Word NYC. The program is funded in part by an Action Grant from Humanities New York, and by the New York State Council on the Arts with the support of Governor Andrew M. Cuomo and the New York State Legislature.